A bold lip is the perfect finishing touch to any look, whether it’s fancy or casual. Adding a pop of color is a great way to change up everyday makeup. Dark shades in particular are trendy during fall and winter. You may feel overwhelmed while examining the hundreds of shades of lipsticks lined up at the makeup counter. It’s no easy task picking out the best shade. When picking out the right shade of lipstick for someone, makeup artists often take into consideration the person’s features, focusing mainly on the tint of the skin. Based on the tint of your skin, you can select the best lipstick shade for you and feel confident about it. 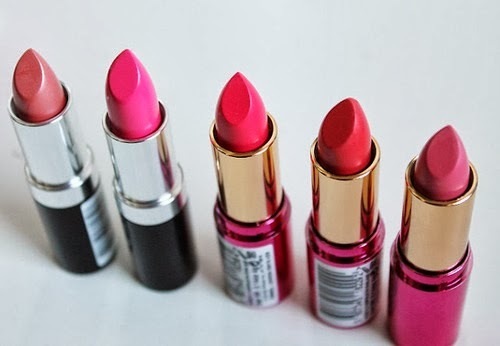 For light, fair skin, the best shades of lipstick are ones with pink undertones. These include shades of berry and mauve. Try Revlon Super Lustrous Creme Lipstick in Berry Haute or L’Oreal Paris Colour Riche Lipstick in Saucy Mauve. For medium or yellow-toned skin, try shades of coral or bright reds. This is the perfect skin tone to rock a daring red lip. For a bold, reddish coral lip, try Mac’s Matte Lipstick in Lady Danger, or for a plain red lip, test out Maybelline’s Color Sensational lipcolor in Red Revival. This skin tone is very versatile with several different lip colors. Shades of bright berry and plums really pop on olive skin. For a berry-inspired lip, try Marc Jacobs’ Lovemarc Lip Gel in Seduce Me. For the perfect shade of plum, try Revlon’s Super Lustrous Lipstick in Black Cherry. Shades of red and mauve look fantastic on a dark skin tone. For a classic red lip, try NARS Lipstick in Jungle Red. Another dark shade of mauve to try is Maybelline’s Colorsensational Lip Color in Madison Mauve. If you’re still having trouble finding the best bold lip color for you, don’t be afraid to ask for help at the makeup counter. Makeup experts can give you the assistance you need in finding your perfect shade. You’ll be sure to make a statement this season wearing a fresh and new bold lip.